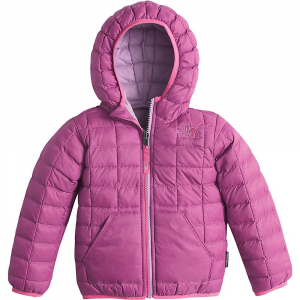 The North Face Girls' Reversible Thermoball Hooded Jacket offers two styles in the same winter-worthy puffy. 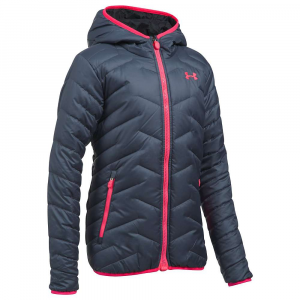 Primaloft's Thermoball insulation mimics down clusters to give a light and lofty feel, yet Thermoball's synthetic nature stays warm when wet in a way that's more protective than down insulation. 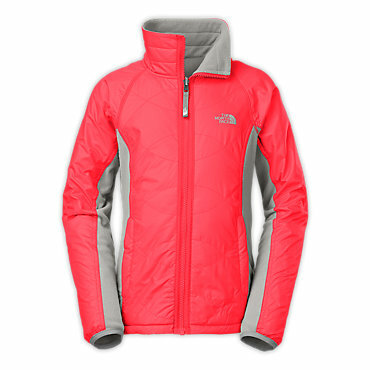 The North Face decorated this reversible jacket with elastic bindings at the hood, hem, and cuffs to ensure a secure fit. CLOSEOUTS . 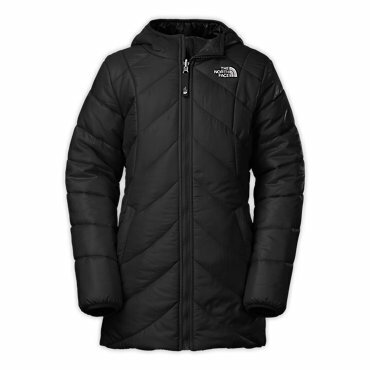 Dial up the versatility with The North Faceand#39;s Reversible ThermoBalland#174; hoodie -- a lightweight outer layer with low-bulk insulation that provides warmth even when wet. 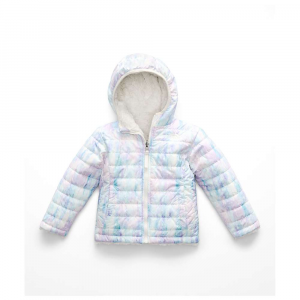 Available Colors: WISTERIA PURPLE, GRAPEMIST BLUE CRYSTAL PRINT, DOESKIN BROWN FUR PRINT, TNF WHITE LACE PRINT. 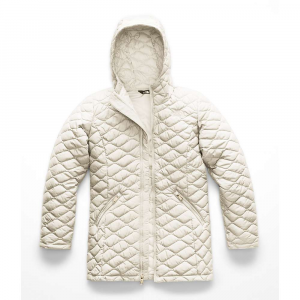 Sizes: 2XS, XS, S, M, L, XL. 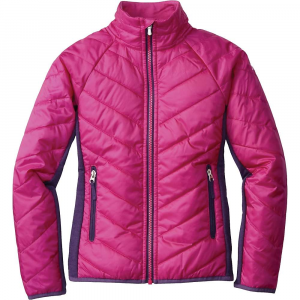 For lightweight warmth in wet, cool-to-cold conditions this reversible girls' jacket features quick-drying ThermoBall powered by PrimaLoft insulation.